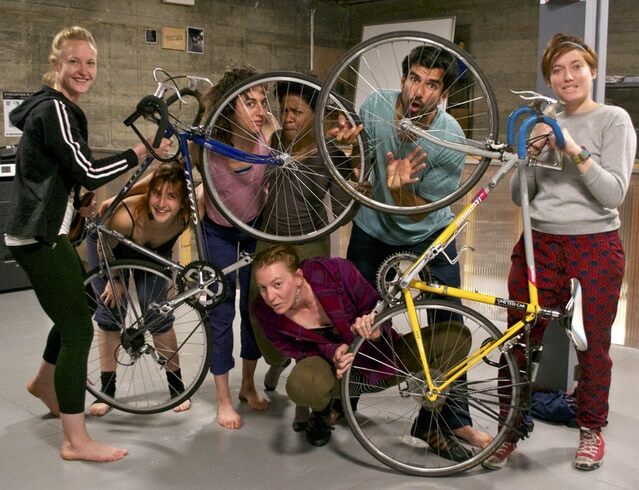 Agile Rascal is a theatre troupe that tours new and innovative plays, on bicycles. In January, they will gather as Artists-in-Residence in the swamps of the Everglades, to create a brand new play for five weeks. After, they‘ll pack up all their costumes, props and set pieces onto their bikes and pedal over 1,000 miles to 15 cities and towns across the state. This year they’re also putting on on theater workshops that will allow participants to be a part of the performance event. The project centers on the premise of a theater troupe in the future, touring an environmentally-devastated landscape. In this very plausible imagined landscape, they tour on bicycles, not as an environmental statement, but because fossil fuels have been completely depleted and there are no alternatives. ​This means that the line between landscape we traverse on bikes and the stages we perform on will get very blurry.